The mission of Jackson State University National Alumni Association, Inc. is to participate as a partner with the University in supporting the University’s continued success through student recruitment, alumni retention and expansion, financial support, public relations and community outreach. The purpose of this Association is (1) to formally associate the alumni of Jackson State University into a legally based organization; (2) to provide financial and moral support to the University through its membership; (3) to establish local chapters; (4) to elect regional vice presidents and other board members and executive officers; (5) to foster support for the University at the local, state, regional, and national levels; and (6) to regulate the activities of local chapters throughout the nation. In working with JSU alumni nationwide, the JSUNAA plans to raise $2.5 million annually over the next two years to reach the $5 million goal by 2020. Through collaborative efforts, JSUNAA and Institutional Advancement are asking all alumni to give $10.40 monthly/$125 annually or more by June 30, 2019, and repeat the financial commitment during the next fiscal year. Click yes to the question "Are you supporting the "Millions of Eyes on Excellence" Campaign?" Support JSUNAA as You Shop! Jackson State University National Alumni Association, Incorporated has signed up with the AmazonSmile Foundation to receive donations from purchases made on Smile.Amazon.Com. 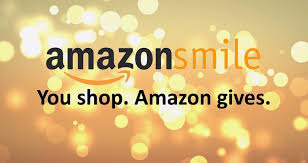 As a part of this program, the AmazonSmile Foundation will donate a percentage of the purchase price from eligible smile.amazon.com purchases. The proceeds will go toward helping students stay in school at Jackson State University and further assist in JSUNAA Fundraising endeavors. Tens of millions of products are eligible for donations. You will see eligible products marked "Eligible for AmazonSmile donation" on their smile.amazon.com product detail pages. You must shop from the smile.amazon.com link not the amazon.com link. Please pass this information on to JSU alums, supporters, family and friends. The Houston Area Alumni Chapter, as an affiliate of the Jackson State University National Alumni Association Incorporated, accepts and endorses the mission and vision of the National Alumni Association.